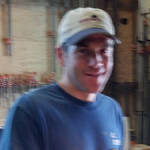 David Rose started Rosewood Construction in 1980. He implemented his vision of a building company specializing in labor-of-love custom homes. His practical knowledge of the building trade set a strong groundwork for Rosewood Construction. John Shively joined him bringing a business and artistic background. He eagerly applied his educational knowledge and work experience to create a good business model. John and David’s diverse personalities, skills, and talents provide Rosewood with a multi-dimensional quality not found in a single-owner company. Their slightly different approaches to the building process give depth to their teamwork. In addition, each provides the other with over-the-shoulder support to cover the varied aspects of construction. They proudly produce simply exquisite homes. Growing up in east Tennessee, the region’s rustic/country style influenced David’s appreciation for structures with character. David has a passion for taking ordinary potentially unimaginative structures and creating homes that have character, practicality, and beauty at the same time. The diversity of homes in the Portfolio clearly show this. David enjoys the problem-solving side of the business by applying techniques learned from one project to another. The many aspects of running a building company range from assembling an effective team, understanding local regulations, knowing building materials, keeping costs within budget, having good time management to solving issues before they become problems. David finds satisfaction in sharing creative solutions and ideas with the clients and their architect to implement the architectural design. David’s work background spans 33 years. He has hands-on experience, enjoys refining as the project progresses, and loves high-quality tangible results. 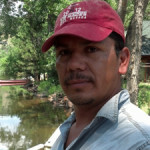 His experience over the years includes: carpenter, woodworker, furniture refinisher, and framer. David is involved in the non-profit sector. 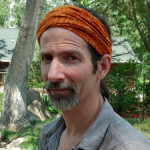 He co-founded Boulder Green Building Guild (now the Colorado GBG). He wanted to create a green-building cooperative model to share with communities around the country. NPR’s article about building cellos for the disabled has inspired him to build practical yet beautiful adaptive devices for the handicapped sometime in the near future. John’s passion is handing his clients a high-quality finished home that Rosewood is proud of having made. This is partially made possible by value placed on developing strong relationships with clients, architects, employees, contractors, and his work partner, David Rose. John enjoys the creative side of the business. Being an active artist outside of work, he has the patience and skills to work with interior and exterior finishes. He likes to say that Dave is superb starting a project, laying the framework, and that he excels at finishing the project, making it shine. Most importantly, he delights in collaborating with designers and architects , turning their images and thoughts into a beautiful reality. Growing up in Colorado, John developed an appreciation for the western values of indoor-outdoor living spaces and integrating homes into their natural surroundings. This intelligent sensibility can easily be seen in Rosewood’s Portfolio of stunning homes. John’s work background spans 33 years. He melds business and artistic education with practical work experience, giving him skills in creative thinking through work processes and understanding of materials. His education and professional experience include: heavy highway construction, residential/commercial painting, siding, framing, project management for small and large construction projects, project estimating, 4-years University of Colorado Business School, B.F.A. Colorado State University, M.F.A University of Colorado. John Shively and David Rose are the Principals of Rosewood Construction. In addition to their respective duties running the company, they also serve as Project Managers. Every Rosewood project has either John or David committed as a full-time Project Manager. Each serves as the single point of responsibility for his project, while keeping a global view of simultaneous running projects. John and David work directly with the owners and architects to ensure that all the needs and goals of the project are met. Their high level of involvement means they are ‘in touch’ with owners, architects, employees, subcontractors, and vendors at all times. Effective communications is at the heart of the process. Both Principals work carefully to manage the flow of information between all parties This connection enables them to respond quickly and effectively to project challenges, and to make informed decisions necessary to keep the project on track and within budget. This team approach produces excellent results ensuring a quality end-product. 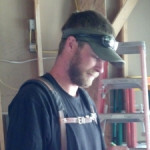 Site Supervisors are the nuts-and-bolts guys working on the integration of materials with design. Rosewood is fortunate to have three long-term supervisors. They are on the job site full-time, supervising as necessary and orchestrating as required to keep the project on schedule. They interact directly with the owners and architects on a daily basis. True craftsmen, they are all experienced carpenters with a well-rounded knowledge of construction details and a clear understanding of how the process works. This makes the difference between good and excellent. In an industry full of subcontractors, Rosewood is unique in having a full complement of carefully selected employees. The current industry trend is to subcontract all aspects of carpentry construction (site work, framing, exterior and interior trim, etc.). Rosewood believes in the more traditional practice of having actual employees perform this work. This ensures quality control and consistency. The practise of using subcontractors reduces the overhead costs associated with hiring employees. But, it leaves all parties open to legal complications due to injury and other such complications. Our company is compliant with all Federal and State employment regulations and insurance requirements. We like to operate knowing that all parties, the owners, employees, and our company, are protected. Each employee is selected for his personal strengths, talents, and skills. All employees have been with Rosewood long-term. They bring a level of dedication, loyalty, and integrity to every project. We know who is going to show up every day. Having employees who are well trained, love their jobs, and work well together provides a far higher quality finished product. The company has better quality control and accountability. We believe they are a real key to our success. Staying within budget is an important consideration of any building project. Accurate cost information is essential to accomplish this goal. From the moment the owners make a commitment to use our services, we begin working very closely with them and their architect. We believe the extra time to educate our clients how and why things cost what they do and the options available is hugely important, rather than to find out the hard way that the project is over budget when it’s too late. This proactive value engineering ensures function, design, and cost meet as a final outcome. Dream homes can come true without breaking the bank. We value our client relationships. They are integral to the success of completing a project successfully. Rosewood maintains relationships that last for years. Our repeat client base is large. To help our clients fully understand the building process, we spend time educating and walking them through the process. We often take our clients to other sites to see how materials were handled or a design was implemented. We might take them to a milling company to show them the process of making a special handrail. Our clients then have a feeling of great participation in the project and understand it on a deeper level. This understanding becomes a value-addition to their new home. Design implementation is at the heart of every project: the translation from dreams to reality. Rosewood collaborates and contributes as requested. Design involvement varies from project to project. We, at Rosewood, have the expertise and experience to fulfill our client’s needs. Our goal is to have our clients, their architects and Rosewood equally delighted with their new homes. Rosewood stays up-to-date with building trends and materials. We continually research new materials and building processes. Melding this new information with knowledge gained thru years of experience gives us a wide range of options for constructing new homes. For example, not all wood is the same. A designer or architect might like the look of a particular wood but the builder has to know it if will suit its intended purpose. As Joint Founders of the Boulder Green Building Guild (now the Colorado GBG), we build homes for future generations using sustainable, health conscious materials, and energy efficient construction. 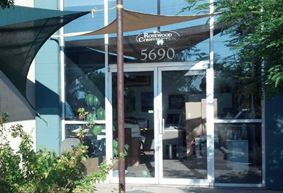 Rosewood practices complete billing and invoice transparency. This business practice sets us apart from nearly all other builders. We provide our clients with comprehensive accounting for every item purchased and all services rendered. Our clients are literally able to see every single receipt. We have superb computerized documentation recording brands/styles/part numbers of all fixtures and items in the house that can be referenced later if needed. Our clients absolutely love this openness and honesty of our accounting system and feel their budget and finances are respected.